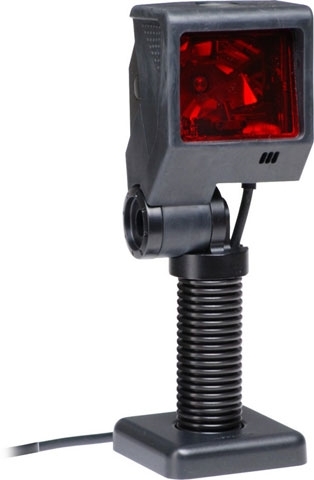 Honeywell’s QuantumT® 3580 provides retailers with industry-leading omnidirectional scan performance and optional single-line scanning in a convenient size. The small footprint and numerous stand options for QuantumT minimize required counter space, increasing available room for merchandise and advertisement displays. QuantumT can be positioned at the user’s convenience: mounted to a wall or countertop, atop one of four optional stands, or free standing for easy hand-held use. Other key features include Honeywell’s patented IR activation mode, user-replaceable Powerlink cables and Flash memory.